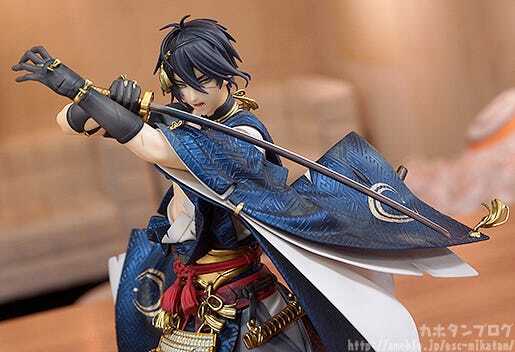 The most beautiful of the Five Great Swords, Mikazuki Munechika is back once again as a 1/8th scale figure, this time in his “Awakened” version! 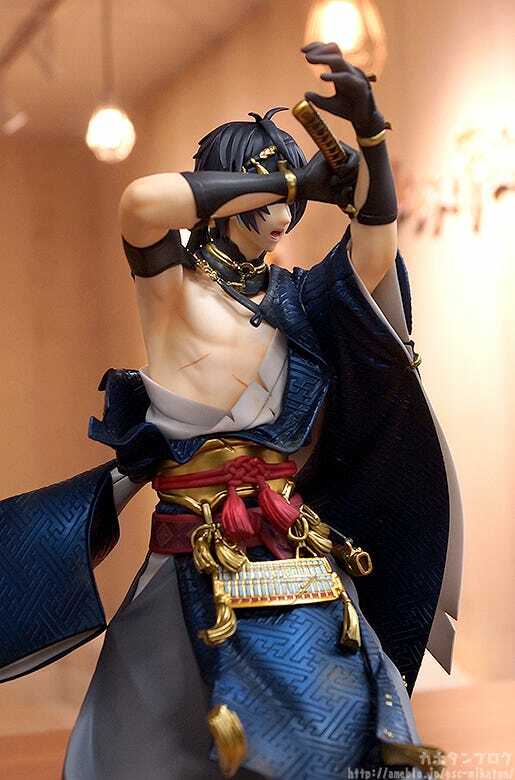 Just like the previously released Mikazuki Munechika, this version also includes the intricate patterns and prints of the outfit! 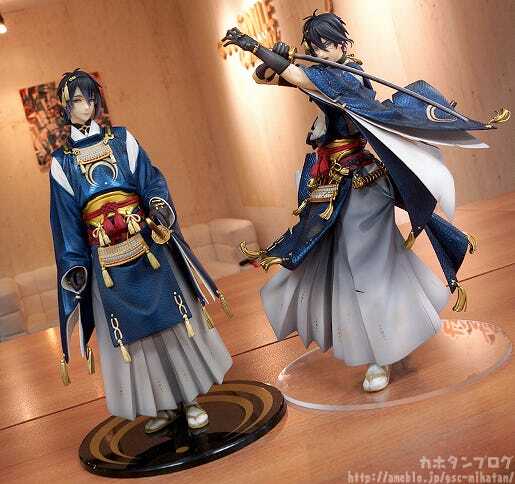 Displayed with the previously released Mikazuki Munechika! The contrast between “Still” and “Dynamic”! 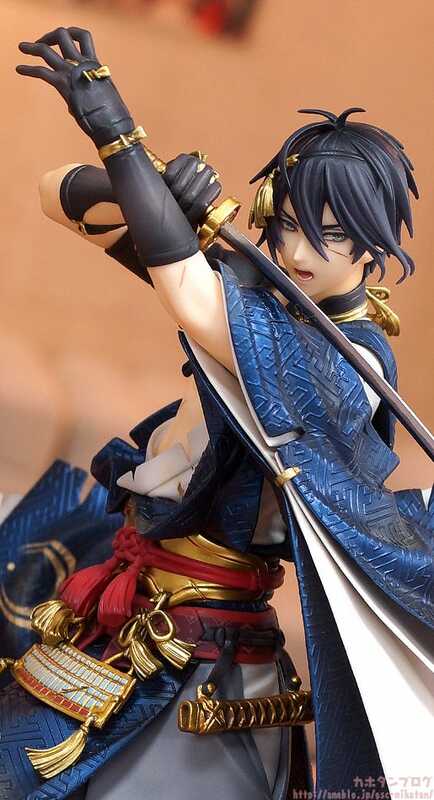 This time around the figure is based on Mikazuki’s Awakened appearance that he takes when unleashing a powerful attack in combat! The composed and confident look on his face captures his gallant character so beautifully! 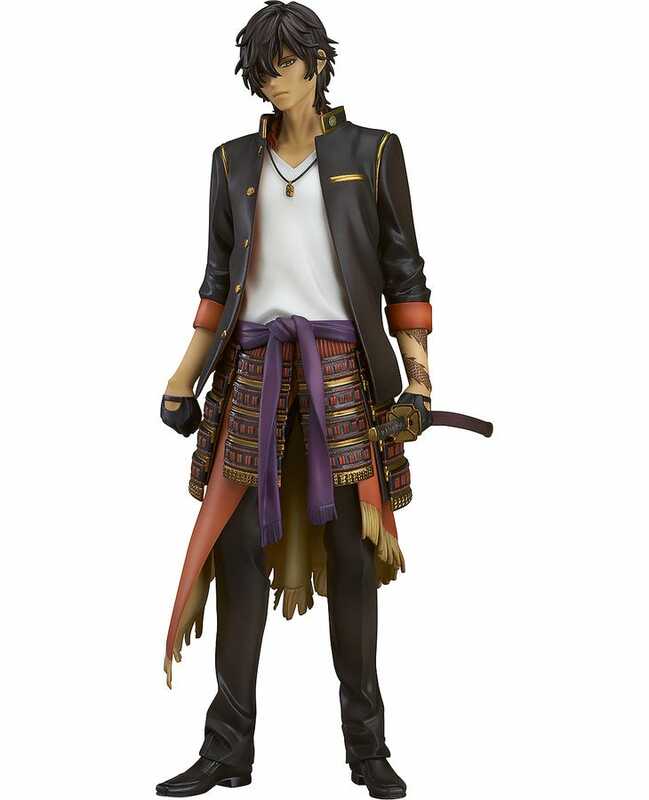 The dirt and tears in his outfit from the battle have also been preserved on the figure! ▲ The “dirty” look has been captured so perfectly! The amount of dirt and tears of the outfit on areas that were never visible on the original illustration have all been carefully considered based on the front appearance! The way the tears and dirt have been included on the figure establish the situation and tell a story as to how the fight has gone down! ▲The cut into his chest and the tear in his outfit where he was cut… the scrapes on his arm… just looking at them make you realise how heated the battle has been! 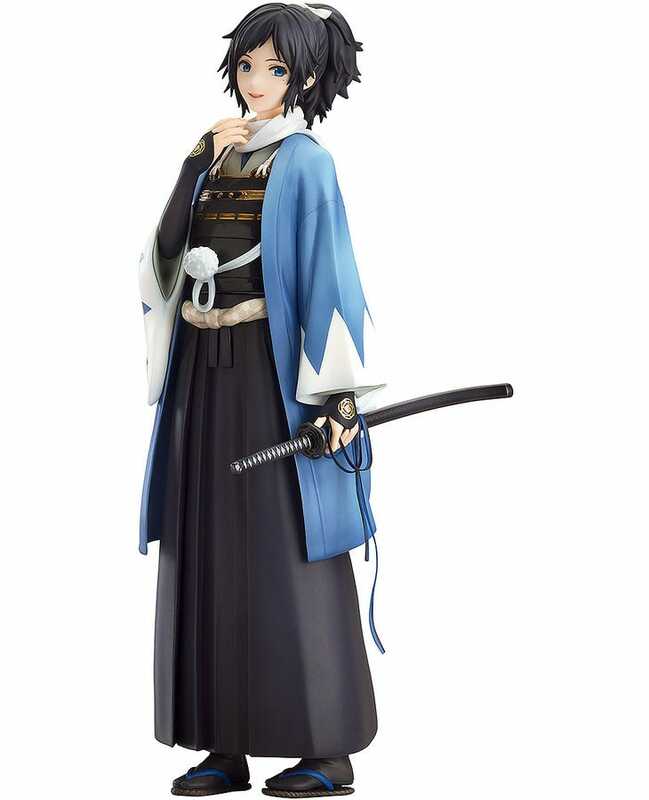 Mikazuki Munechika: Awakened Ver. 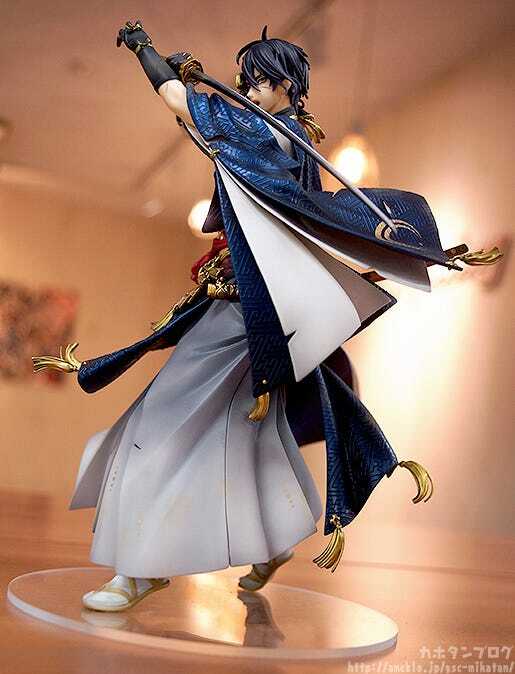 has been sculpted by Sato! 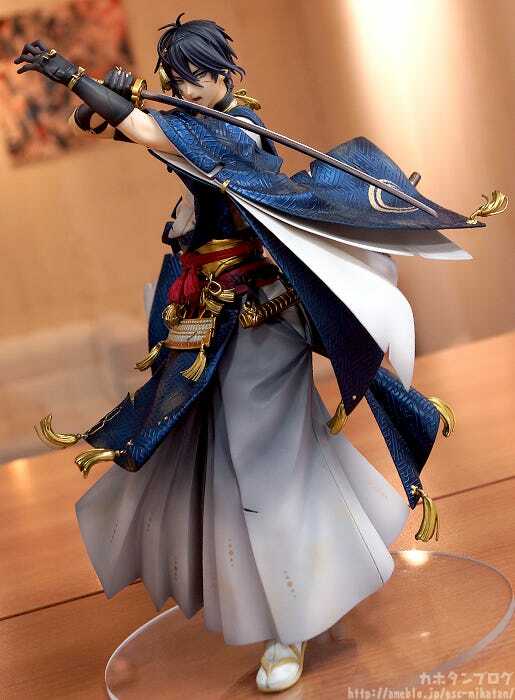 ⇒ You can see more Touken Ranbu Products over here! 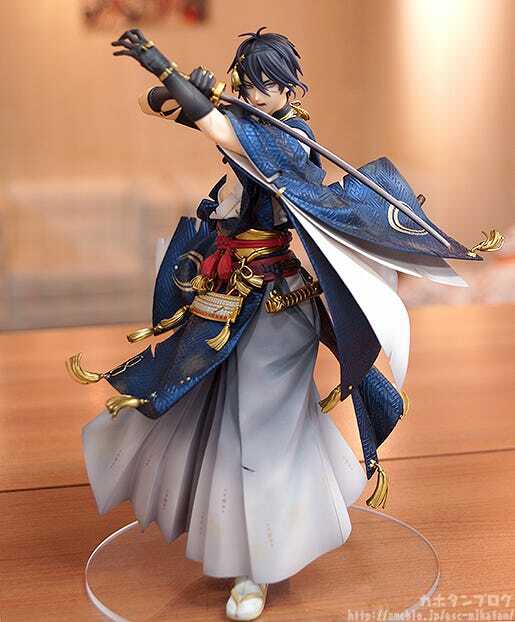 This figure is rather different to the previous Touken Ranbu scale figures as the Awakening version is a more focused on a look in combat, but there is still a very refined and graceful look to Mikazuki’s stance and sculpt! 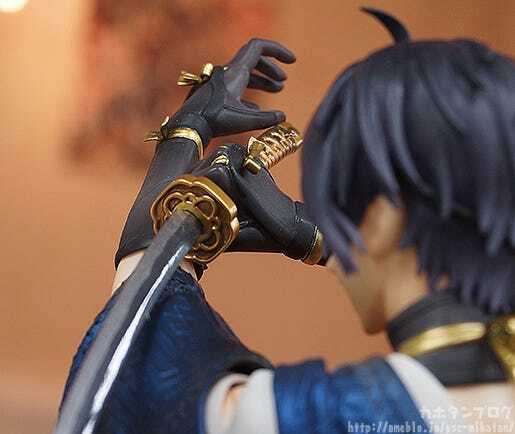 They often say that a good sword fight is just as beautiful as a dance, but looking at this figure was the first time that I thought that may actually be true! The stance, the way his clothes flow around him, and the movement captured in his feet all show off his fighting prowess! 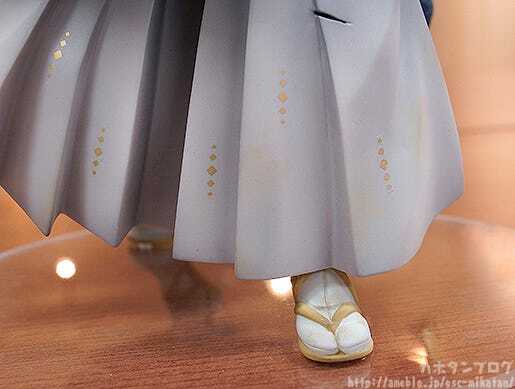 The details on the accessories of his outfit together with his hair blowing in the wind as he moves around are also all so perfect!! 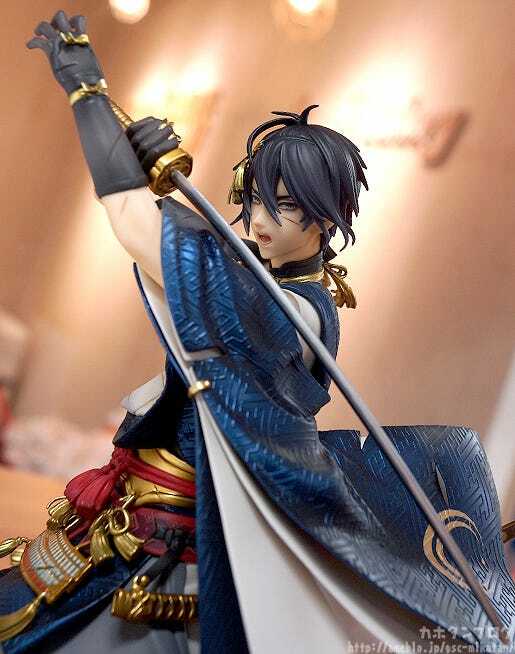 The figure captures both the rough side of combat together with the elegance of Mikazuki for beautiful contrast with such amazing attention to detail!! Below are some of the points of the figure that really stood out to me! 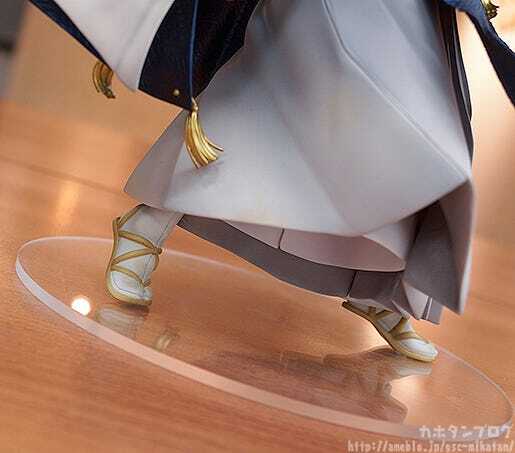 The tips of his toes clearly have so much strength put into them capturing the tension of the battle and also causing the tabi to come with a very uneven sculpt. 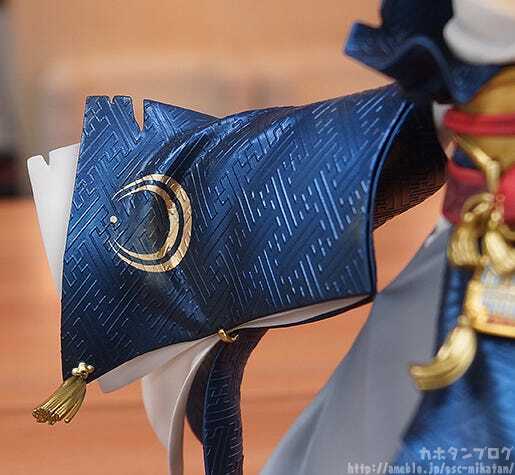 The hakama he is wearing also has a beautifully soft look to it as it swirls around with his motion! 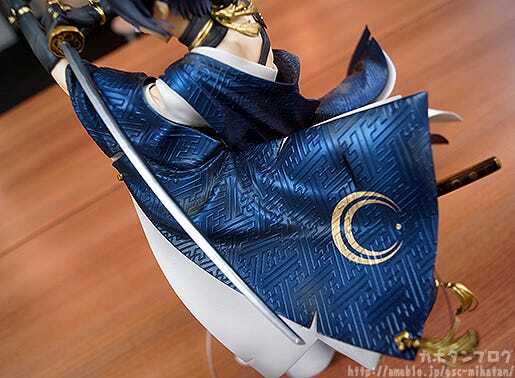 Also note the motion and details included on the tassels! 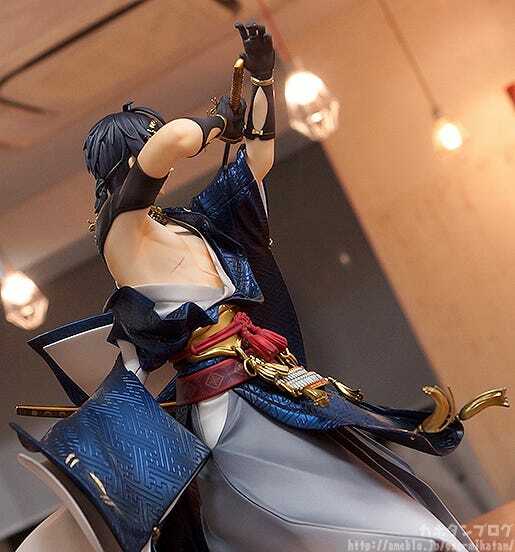 As I had just mentioned, the motion of the tassels is incredible, and from the back they look even more amazing as they flick around together with the flapping motion of the blue flap. 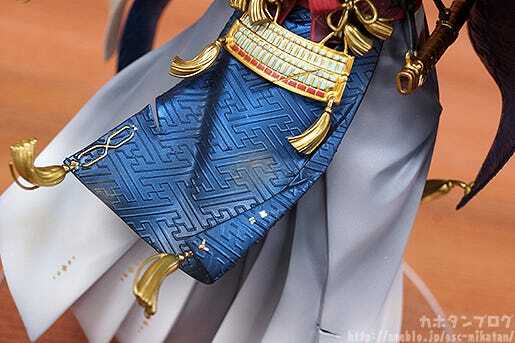 If you look close you’ll even notice that the reverse side of the flap even has the pattern and the back-stitching of the tassels! 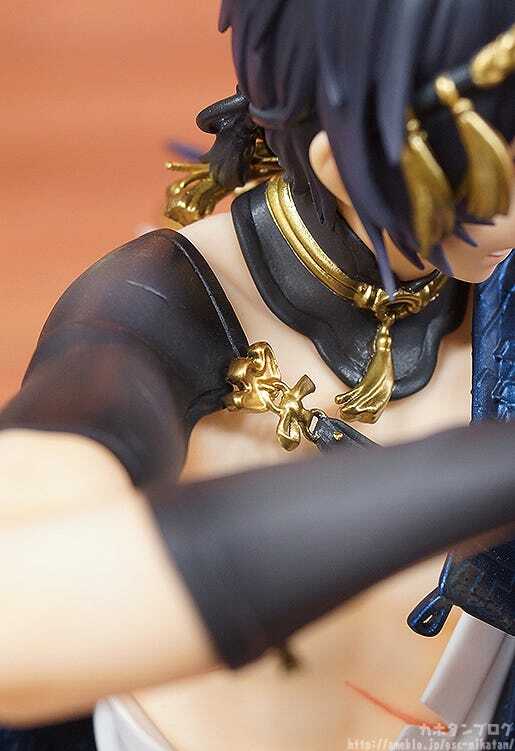 One of the best things about figures is that you can see all the areas that were never visible on the original illustration – simply pick the any angle you wish!! 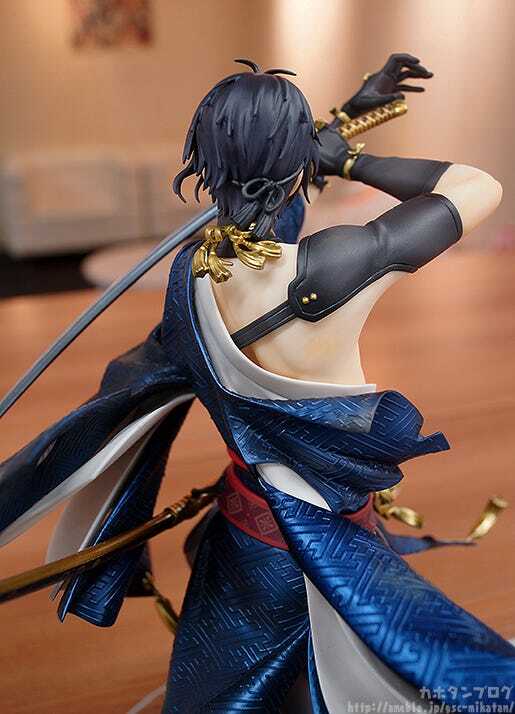 ▲ The fabric at the front hos his neck also has the pattern! 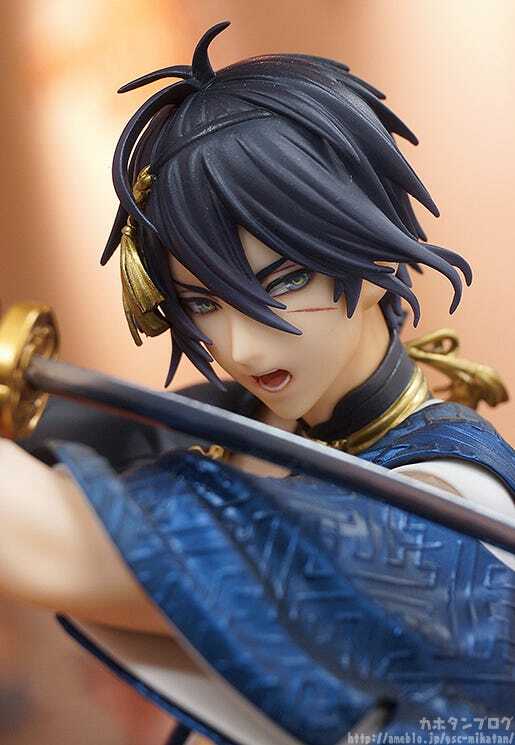 Mikazuki may be known as a character that takes things at his own pace, but looking at this figure you can certainly see he is ready to fight with the best of the sword boys! Also note the thickness of his gloves! You can see the point the end at his elbows there is a sudden drop in thickness to reveal his toned arms! ▲I can just imagine his combat lines playing through my head! Last but not least: His gallant facial expression! There is really far too much to look at with a figure like this! I hope I managed to capture at least most of his charm for everyone! 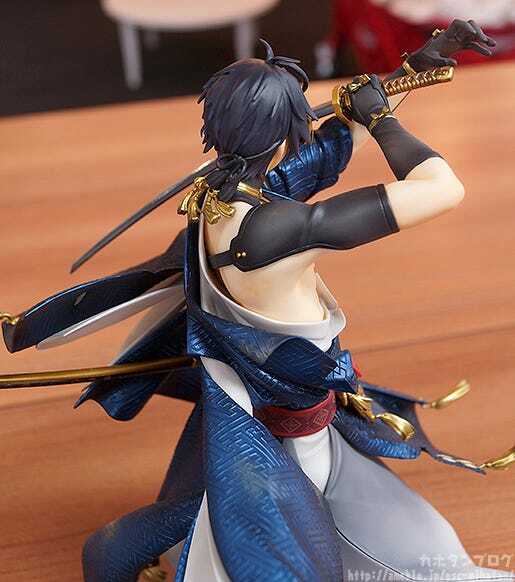 Be sure to take a nice close look from all sorts of different angles once he joins your collection! 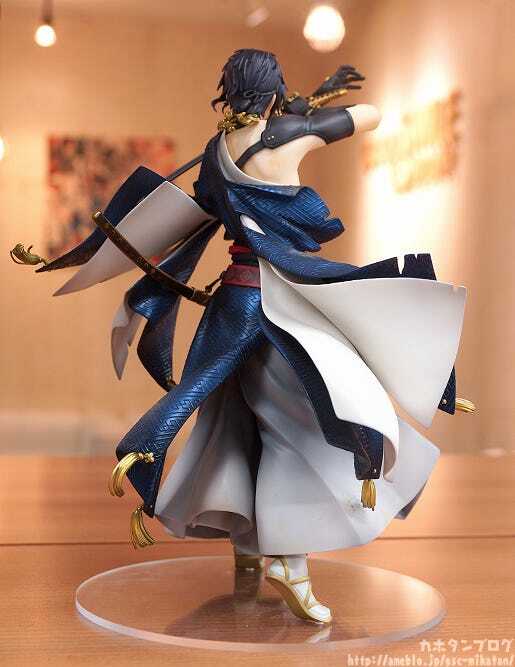 A figure featuring an amazing blend of intensity and elegance! 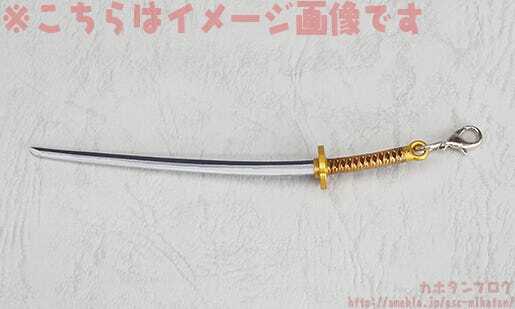 In addition, orders from the GOODSMILE ONLINE SHOP will include a Mikazuki Munechika Sword Charm: Awakened Ver. 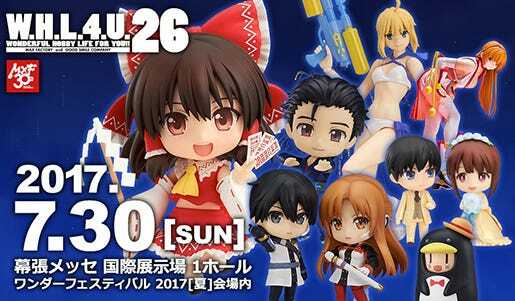 as a bonus! 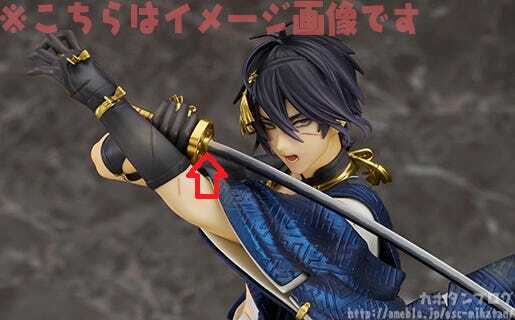 *The photos on this blog were taken before this section of the figure was corrected. The final version will have this area correctly sculpted and painted gold.